New year, new training plan! As I shared in an earlier post, I have started working with a running coach. I am getting back in shape and gearing up for a June marathon – Grandma’s in Duluth, Minnesota. 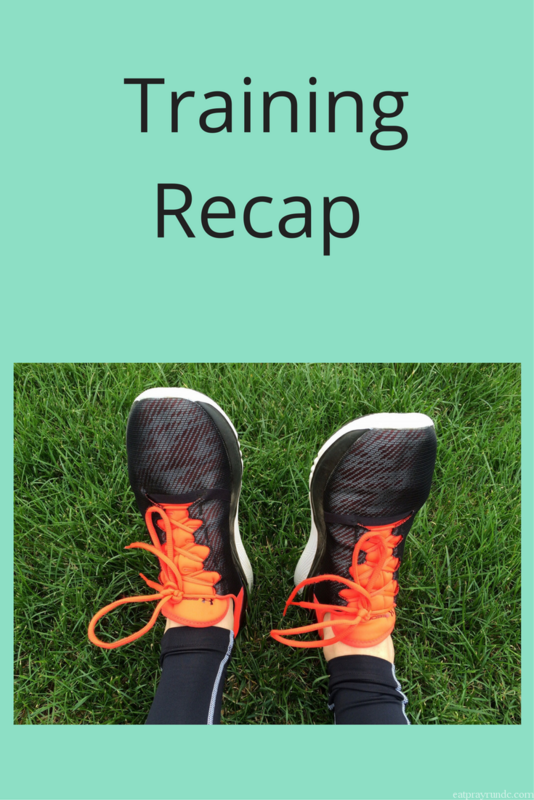 Now that I am back to training, I will share my training recap every other week. Once I am closer to the marathon, I will share my training recap weekly. But until then, here we go! You can always follow my progress daily on Instagram, where I share all my runs. Monday – 4.35 miles + core work. Tuesday – I was in Chicago for work and the streets were snow covered and icy so I hit the treadmill. 5X1000 on the treadmill fueled by Hamilton. It was super hard but got it done. Wednesday – REST DAY is the BEST day! Always! Thursday – 4 freezing miles in Chicago + core work. A bit over winter with this one! Friday – Crazy day – no run. Saturday – 10 miles – it was cold but not terrible and we got it done! Sunday – 3 easy miles to end the week. Monday – Easy 4.2 to kick off Monday. Plus core work. Tuesday – Things got crazy again so I had to move Tuesday’s workout to Wednesday and then Friday’s workout to Thursday. Not ideal, but the work got done. Wednesday – This was so hard. 8×400 and then 4×200 – all at paces in the mid 7:xxs. Such a tough workout but I was proud to get it done. 5.4 total. Thursday – Seven miles – 4 at tempo pace. I was so tired after this run! Friday – Five easy plus core work. Saturday – Eight miles on a gorgeous Saturday in DC. Sunday – Easy mile and a half to close the week. Is the weather getting to you this winter? It has definitely been a struggle for me! Great job on your base building over the past 2 weeks! Although I love Chicago,, I can’t imagine running there in the winter. It’ so brutally cold! Omg it was awful, lol!!! Here I thought we were warm last week… great job on those runs. One of these times when you are here, we have to meet! I am beyond over winter and was so happy with the nicer weather last week. I was spoiled to be able to do Saturday’s long run outside in short sleeves! Between the sun and the 62 degree weather it made for such an enjoyable long run, despite the high wind. Saturday was perfect running weather. Just perfection!! Phew that speed work! Great job! I find longer runs on the treadmill mentally to be so tough so kudos! Ugh. I can never wrap my mind around the treadmill! Even with work and weather challenges, you killed it! Well done and thanks for bringing back the training link up! Love it!! Thanks! This weather has been so rough but what can you do, right? ?